"This machine is a server. 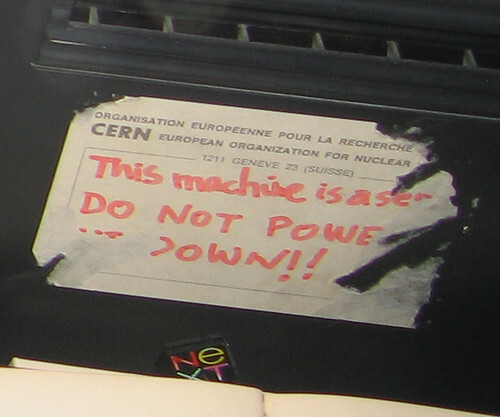 DO NOT POWER IT DOWN!!" The message on the front of the first web server.